The French-born Tunisian centre-back was on a short-term contract at Championship side Dundee United when he allegedly committed the offence on April 8 last year on roads in north-east Fife. He was due at Kirkcaldy Sheriff Court today to face the charge – but didn’t turn up. Fiscal depute Catherine Fraser told the court: “The complaint has been sent out to the address he was living at at the time. “Although he has a limited record he does have previous convictions for road traffic matters. Sheriff James Macdonald issued a warrant for Mohsni’s arrest on the basis that his present whereabouts are unknown. 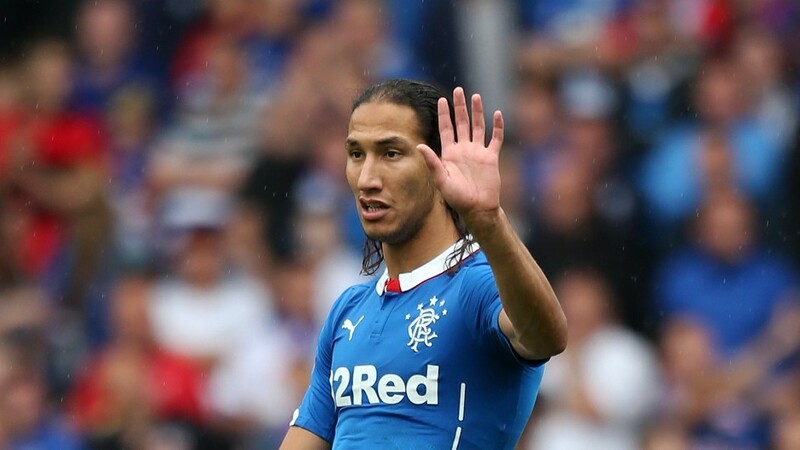 Prosecutors alleged Mohsni drove dangerously, repeatedly overtook several vehicles when it was unsafe to do so and crossed a solid white line during the incident last April. He is then said to have driven on the wrong side of the road into the path of an oncoming vehicle and that he had to take evasive action to avoid a collision. The incident is alleged to have happened on the A914 road between the Forgan roundabout and St Michaels. The road is the main route from Dundee to St Andrews, where Dundee United train. Mohsni was not present at Kirkcaldy Sheriff Court when the case called for a pleading diet on Thursday and was not represented by a solicitor. The 31-year-old, whose address was given as Mortimer Drive, Monifieth, Angus, made no plea to the charge of dangerous driving on summary complaint during a brief hearing. At the time of the alleged offence Mohsni was playing for Dundee United. He had signed a two-year deal with Rangers in 2013 as they aimed for promotion to the Premiership from the lower leagues. But his time at Ibrox came to an end when the Glasgow club were defeated by Motherwell in the 2015 promotion play-off – a match that culminated in Mohsni punching Motherwell player Lee Erwin, landing him a seven-game ban. He then returned to France, signing first for Ligue 1 side Angers before dropping a division to join Paris FC then leaving for Tunisia to play for Etoile du Sahel. But he was dumped by the North African team after just one game – a move that later ended in the Court of Arbitration for Sport awarding Mohsni £600,000. He then signed signed for Dundee United last March and left in May when his contract came to an end. Csaba Laszlo had hoped to resign him after his successful short stint at Tannadice but Mohsni decided to leave Tannadice.